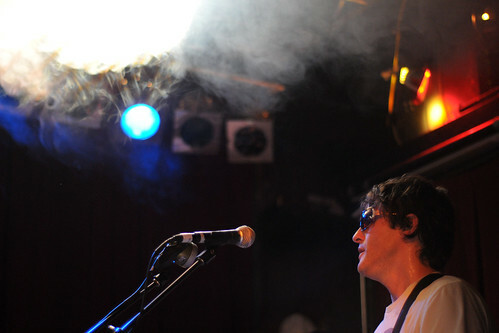 Head over to the Andy Aupperlee Explosion 5000 for photos of Spiritualized's performance in Seattle this fall. 1) I wanted the Nikon D60 or D70, simply bc that is what was recommended to me. How does the Rebel measure up? 2) what are the main differences between the two brands? If I go with the Nikon, which model should I get? 3) for someone who has no idea what they are doing, which camera is easier to use? 4) what is a DSLR? Is the Rebel a DSLR? Why do I want a DSLR so badly? 5) Which camera will help me take photos similar to Cobrasnake? Seriously though, I will extend my thanks in advance- I really need some good advice here. Jessica, the barren of mules over here at BlogMule.com received your request. We are working on a new post, "Photography Tips: How to buy your first DSLR." It should be up in a few days. In the mean time, head over to www.kenrockwell.com.